Sri Padmanabhaswamy Temple, located in Trivandrum, is an architectural wonder and a magnificent temple. The massive structure has a staggering 100 feet high “Gopuram”, the main temple tower. 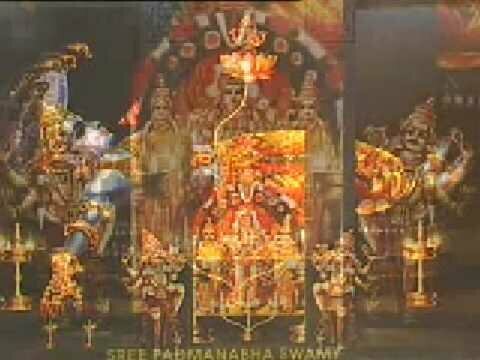 It is dedicated to Lord Vishnu, one of the Gods of the Hindu trinity of Brahma, Shiva and Vishnu. The massive idol of the deity measures 18 feet in length and is covered with gold and other precious stones.